The M1A1 Abrams tank has been in use since the 1980s. 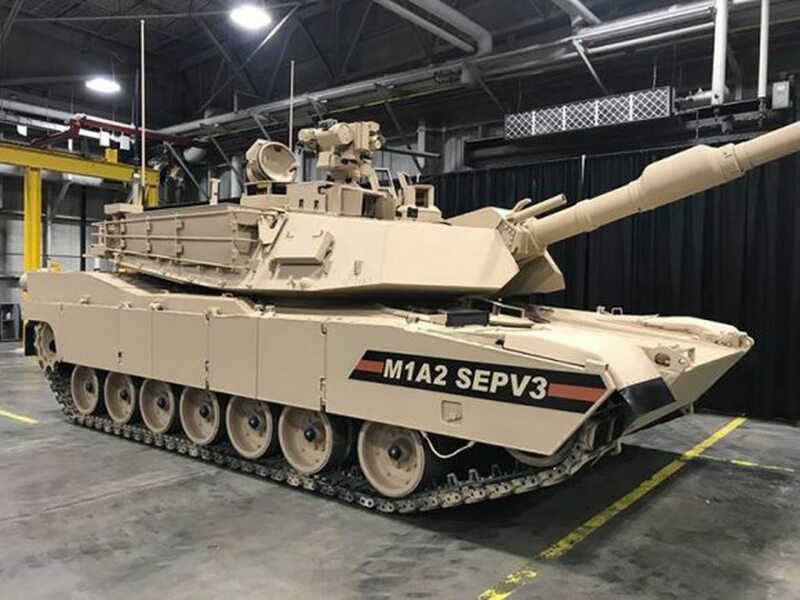 The M1A2 version being enhanced has been in production since 2005, according to officials. The enhancements are being installed at both JSMC in Lima and at the Anniston Army Depot in Anniston, Alabama. The version four variant is scheduled for testing in 2021, production in 2023 and fielding in 2025, Givens said. Version four will add new laser rangefinder technology, color cameras, advanced meteorological sensors, ammunition data links, laser warning devices, integrated on-board networks and more lethal, wider ranging 120 mm tank ammunition. The lethality advances center around the third generation Forward Looking Infrared camera, which can detect the enemy at greater distances and through most obscurants. The version four Abrams will also carry a multipurpose 120 mm round. The AMP round will take the place of the High Explosive Anti-Tank round, the Multi-Purpose Anti-Tank, the M1028 Canister to attack dismounted infantry, and the Obstacle Reduction Round that’s used destroy large obstacles. "These vehicles are not just about assuring our allies, or deterring or coercing potential adversaries," said Maj. Gen. David Bassett, program executive officer for Ground Combat Systems, in a statement. "They are about compelling our enemies and winning the multi-domain battle."